- Verandah in standard neutral colours: in matching Gray and Carbon, self-supporting, without the vehicle needing to be present on the campsite. 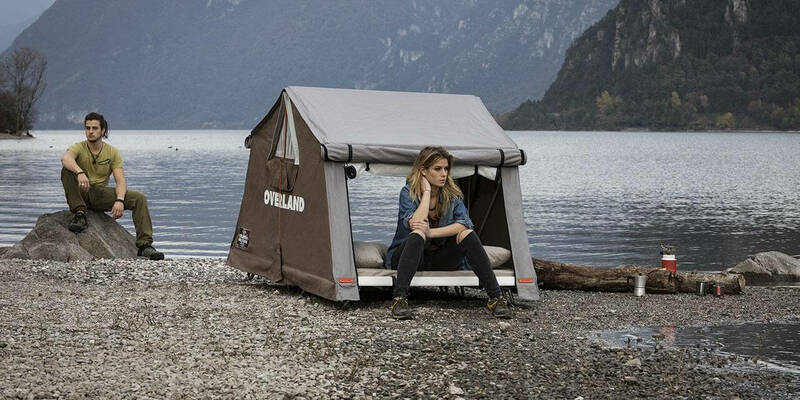 - Changing room available in the 3 Overland colours: Carbon, Safari, Bordeaux and blue for the exclusive Air-Camping range. 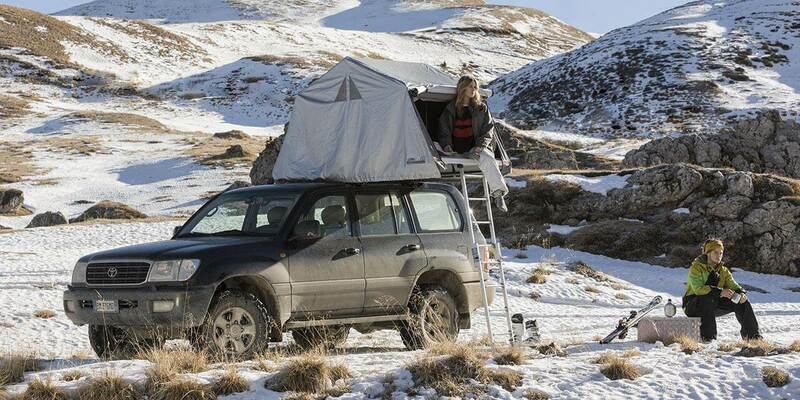 - Ground supports supports for Overland/ Air-Camping. - The winter hood, for extra protection against rain, wind or cold. 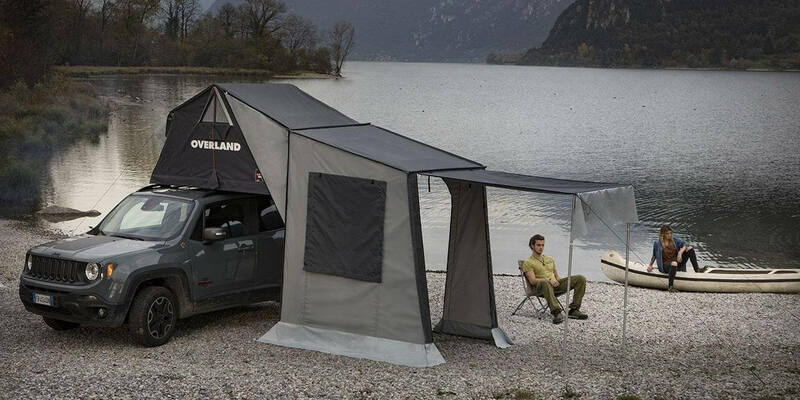 According to our testers’ experience, we have understood that also Overland verandah shall be independent. Living & sleeping areas are communicating but at the same time separate rooms: it is the best solution to get a freedom of movement and at the same time a standing point of reference where tables, chairs, barbecue, food and drinks, etc. ... are kept. 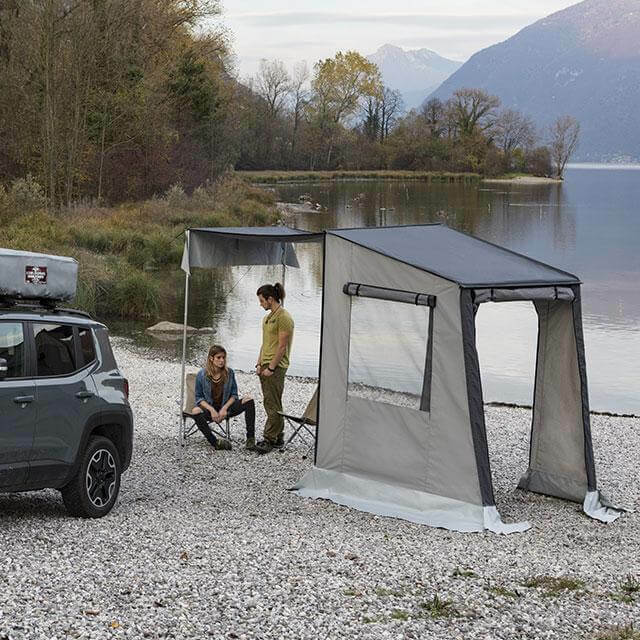 Should the standing time be longer, the tent becomes a well-structured, comfortable and safe module, (art OL/06A) to go camping in a traditional way; this is possible thanks to its ground feet. 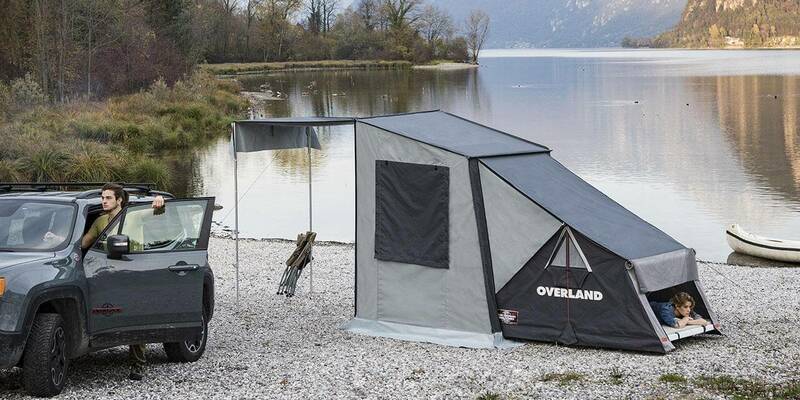 practical and lightweight accessory, it can also be used as a small verandah thanks to its zip. 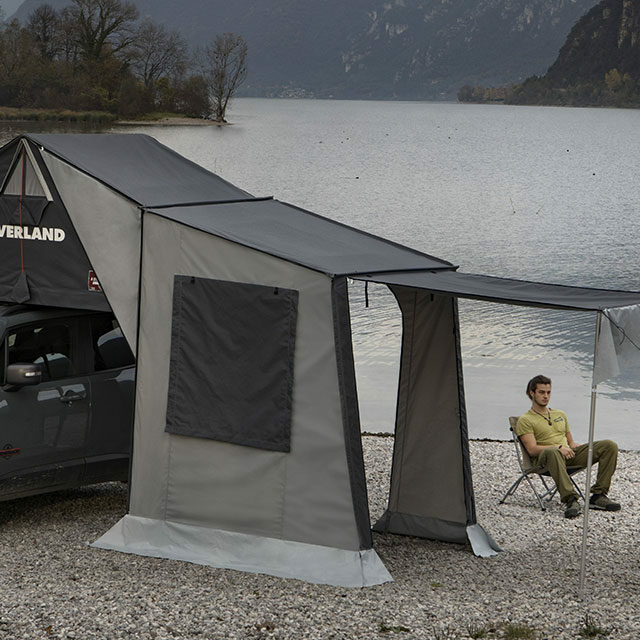 Four strong folding feet keep the tent raised some 25cm off the ground protecting the base of the tent from water, condensation and insects. 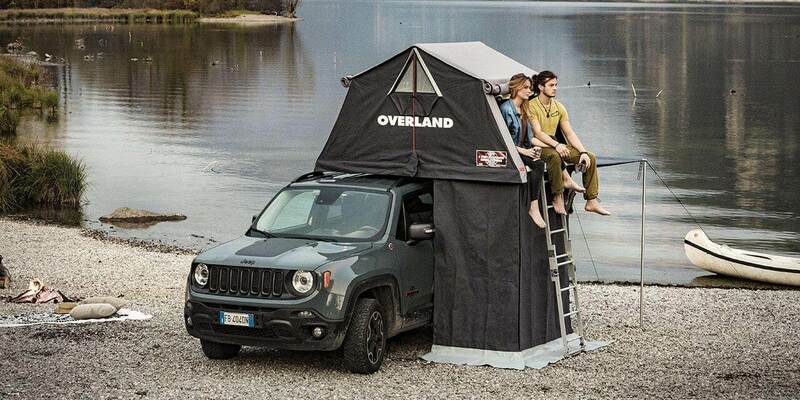 Useful in campsites and residential areas that do not allow vehicles to enter during the night.